When it comes to applying makeup, natural lighting is the best way to go. Unfortunately, not all of our homes are blessed with large windows, let alone loads of light. To help out with your makeup-lighting woes, we found the best lighted mirrors for flawless makeup application every time. As I’m sure you know, lighting is of the utmost importance when applying makeup. You might have all the right beauty products, but if your environment is too dark, you’ll likely have a foundation ring around your jawline, go too heavy on the bronzer, or miss a blending opportunity or two. 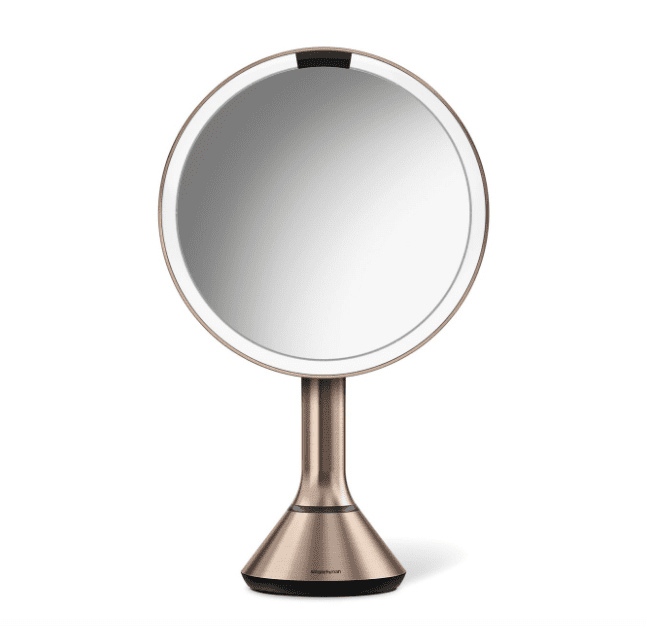 To make sure your makeup is nearly flawless every single day, we’ve rounded up the best lighted makeup mirrors for your cosmetic convenience. 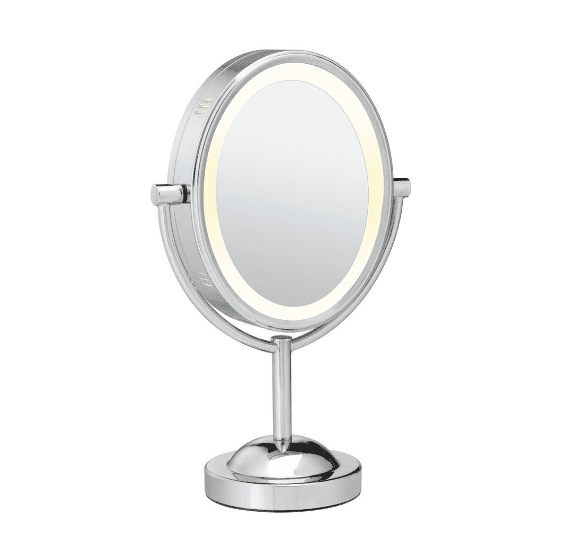 Keep reading for the market's top-rated makeup mirrors with lights, as well as a few of our personal favorites. 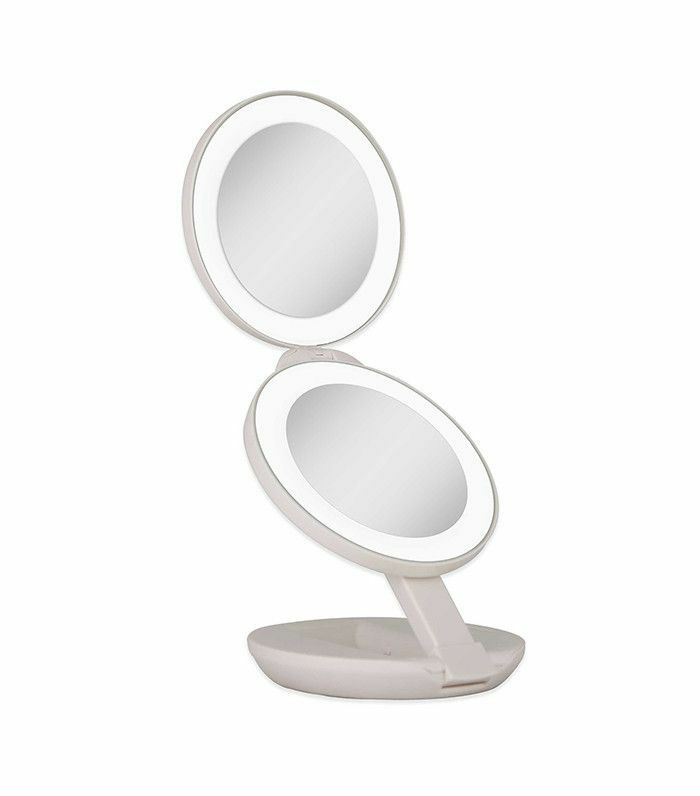 This 4-star–rated LED makeup mirror is designed to closely resemble natural light, emitting a soft yet bright glow similar to that of sunlight. While this portable mirror also features magnification up to 10 times, Amazon reviewers seem to love this mirror for its nice glow. While this makeup mirror might be the tiniest of the bunch, it is quite powerful. This six-inch, battery-operated mirror illuminates with natural white LED light, perfect for "tweezing eyebrows or anything of that nature," and it also comes with a dimming feature that "helps with making sure your makeup will look good when going out," says Amazon reviewer Chrissy. 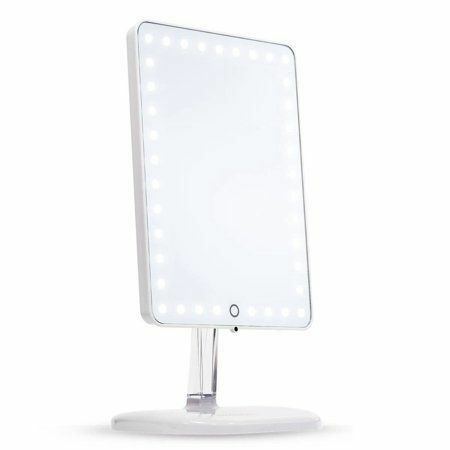 The next best thing to natural light is this rechargeable Trulux LED light system mirror that simulates natural lighting for correct color-swatching and makeup application day after day. While it does cost a pretty penny, one Amazon customer claims it's worth it, saying, "the magnification and lighting are unparalleled in comparison to other mirrors." Not ready to splurge $400 on a makeup mirror? 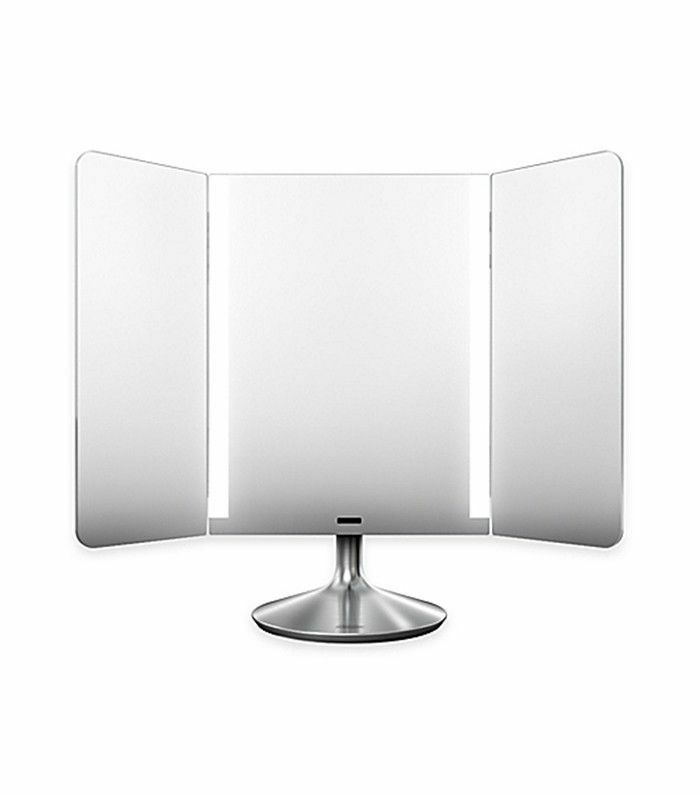 This round mirror by Simplehuman uses the same LED Trulux light system as the Simplehuman Pro Wide-View mirror—which means that this six-and-a-half-inch version simulates natural light just as well. However, it doesn't feature side panels for allover angle coverage. If you're constantly on the go, this mini makeup mirror will come in handy. Not only does it feature LED lights and 10-times magnification, but it also collapses, which makes it "easy to fit in a travel bag," says a Bed Bath & Beyond reviewer. 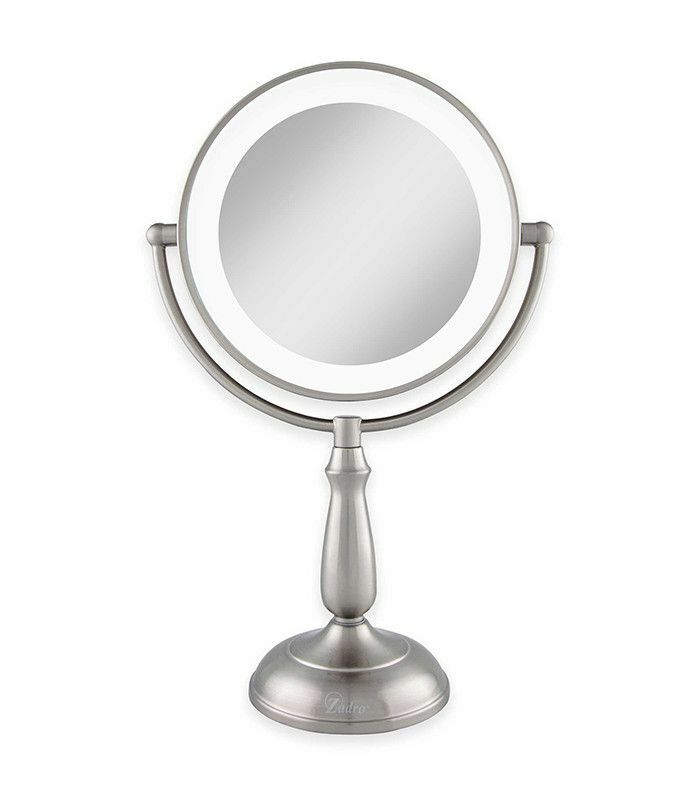 This budget mirror offers candlelight-esque lighting, so it's perfect for getting ready for a dinner date. 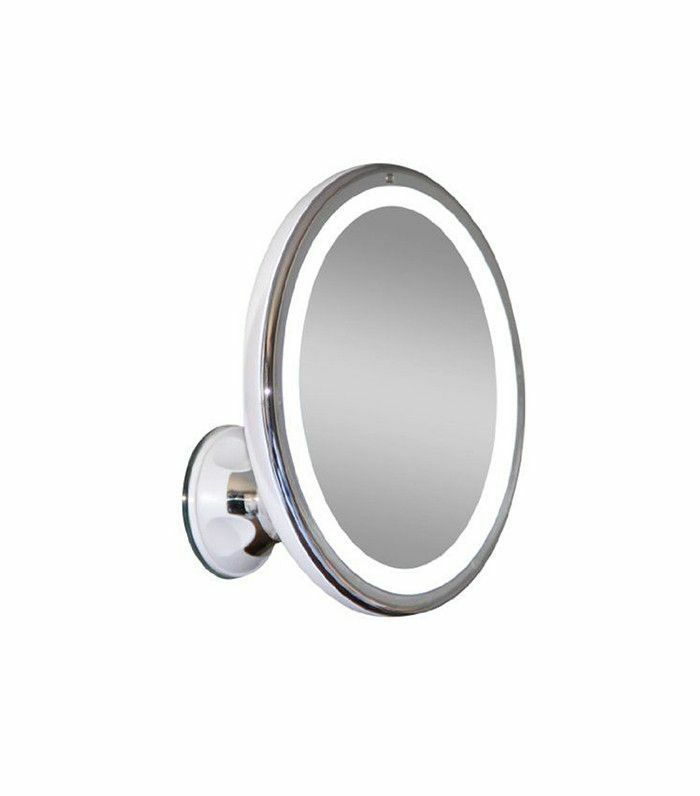 As one Amazon reviewer writes, "This is a solidly built, attractive mirror, and the light seems just right, not too dim like the last battery-powered mirror I bought, but also not so bright that I want to run away screaming from my own reflection." 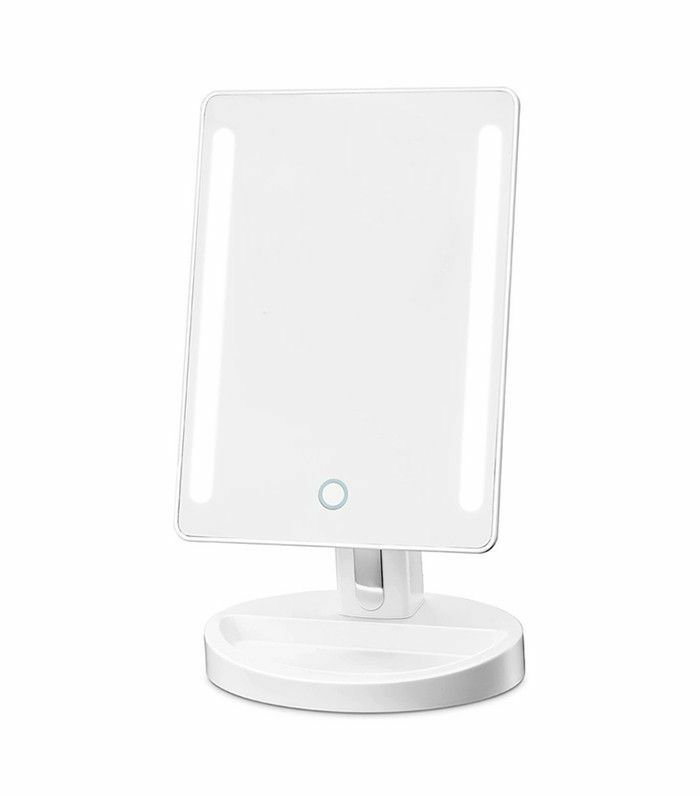 This tricked-out mirror lets you stream music or talk on the phone while you get ready thanks to its Bluetooth technology and USB power bank charger. Not to mention the insanely bright LED lighting that exquisitely mimics real daylight. 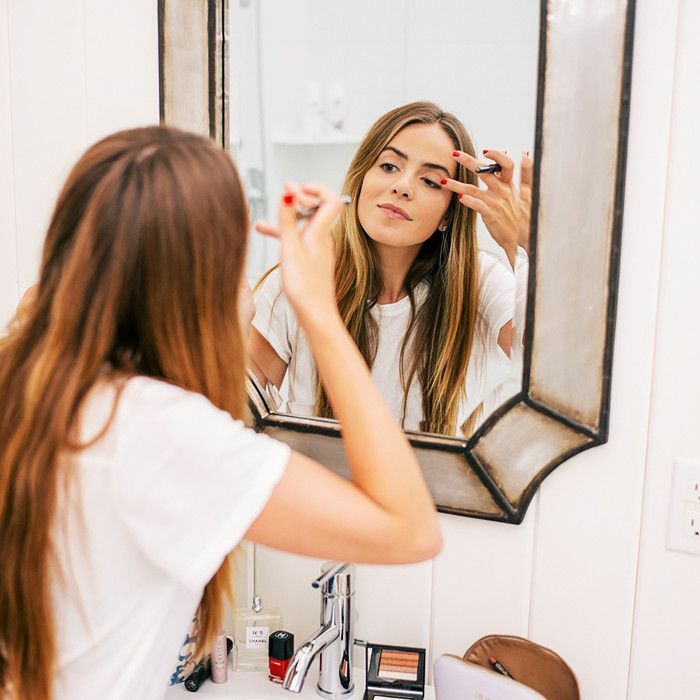 Check out these tips on how to make your foundation look like it was done by a pro.